I really felt like watching a cartoon tonight, so I watched The Boxtrolls. Quite an entertaining little film, perhaps a bit predictable, and a little light on plot, but I suppose the intricate work involved in making a ninety minute stop motion animation film may restrict the story from going off in too many directions. Don’t get me wrong, there were a lot of great looking effects in the story, and it was a good story too. Boxtrolls live under the town of Cheesebridge, where the aristocratic “white hats” run the town, with their minds more on cheese than on running the town. One day they boxtrolls steal a child, the Trubshaw baby, and take him back to their underground lair to eat him, or so the official history goes. The boxtrolls do end up with the Trubshaw baby, and they raise him as one of their own. 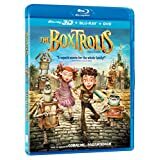 The town exterminator, Mr. Snatcher (Ben Kingsley), wants to be a white hat, and Lord Portley-Rind has agreed if he can rid the town of the boxtrolls, he will get his reward. Along with his henchmen, Mr. Pickles (Richard Ayoade), Mr. Trout (Nick Frost) and Mr. Gristle (Tracy Morgan), Snatcher hunts down the boxtrolls who come to the upper world each night, scavenging scraps materials to build up their underground world. The boxtrolls by the way, are all named by the boxes they wear and hide inside. Fish lives in a box that fish came in, Shoes wears a shoe box, and even the Trubshaw baby (who is all grown up now and voiced by Isaac Hempstead Wright) is known as Eggs. As his friends are captured one by one, Eggs has to save them, and along the way makes friends with Winnie (Elle Fanning) Lord Portley-Rind’s daughter. Once she knows the truth about Snatcher, the Trubshaw baby, the death of his father Mr. Trubshaw the town inventor, and the nature of the boxtrolls themselves, the pair try to convince the timid boxtrolls to stand up and fight back, leading to a dramatic showdown with Snatcher. The Boxtrolls was like steam-punk puppet show as the multitude of gears and springs and scraps they find are used to create the world around them, and even to create Mr. Snatcher’s steam driven giant spider attack machine. You certainly cannot fault the animation in these films. The animators and voice actors really did bring the story to life, and I loved every scene that involved Pickles and Trout, as they debate whether or not they are the good guys, as they’ve been told by their evil master. My only complaint with The Boxtrolls was that it seemed to start off very slowly. I wanted to learn about the boxtrolls quicker. It was a fun story, and had a good message to it, which is little surprise, as it was from the same company that made ParaNorman and Colaline. Not laugh out loud funny, though there was one joke that had me in stitches (Where’s the Red Hat Exterminators? On Curd’s Way. How do I get there? Milk turns into it (as Winnie points to the “Milk Street” sign) followed by a rimshot and a man dropping a cymbal). The film simply restates the old adage of judging books by their covers and reinforcing that cheese, hats and boxes, don’t make you, you make you. You know, you should never bet against a mouse, even if you’re picking a dragon. Last night was the Oscars, and I forgot that cardinal rule. I picked How to Train Your Dragon 2 over Big Hero 6 and suffered for it. I also forgot that the Academy doesn’t really like sequels. I watched Big Hero 6 and really enjoyed it. It was a super hero story, and it was a Marvel super hero story. It was a story of brothers, and it was a story of friends. The outsider finds similar minded people to himself, and a group of heroes are born. It’s also a story of revenge. 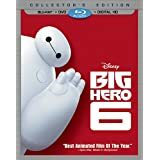 Young Hiro (voiced by Ryan Potter) is a genius, and follows his older brother Tadashi (Daniel Henney) to his “nerd school” where he has created a medical assisting robot named Baymax (Scott Adsit). Hiro presents an experiment at a technology expo to apply for the school, and impresses with his invention of mentally controlled micro-bots. He impresses Professor Callaghan (James Cromwell) and rich (and possibly unethical) industrialist Alistair Krei (Alan Tudyk) who immediately wants to purchase the young boy’s invention. Declining the offer so he can go to school with his brother, Hiro and Tadashi leave the expo just before the building explodes. Tadashi races back into the building to rescue Professor Callaghan, but neither of the two escape the burning building. Young Hiro is distraught, and locks himself away from the world, including his new friends from the University: Fred (T.J. Miller), Go Go (Jamie Chung), Wasabi (Damon Wayans Jr.), Honey Lemon (Genesis Rodriguez). Hiro discovers that his microbots have been taken from the expo wreckage and are being controlled by a villain in a kabuki mask. When he and Baymax can’t stop him, he finally relents and lets his friends help, and when that doesn’t work, using science, he upgrades their experiments and they become superheroes. A great origin tale, and a lot of fun. It was definitely aimed at kids, though it did evoke those classic Disney feelings, where a loved one is killed like Bambi’s mother, or Simba’s father, or in this case Hiro’s brother. 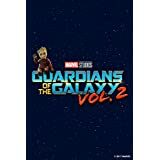 The film really combines Marvel fun and excitement with Disney storytelling and humour. Baymax is both the heart of the team and the humour; sometimes he is childlike and at others he is the sage old wizard. The team building is a little rushed, but the film was only an hour and forty minutes, so it was difficult to completely flesh out the cast, but for what it was able to do, I applaud the film. We do get a pretty good feel as to who the members of Big Hero 6 are, or will be. The animation was good, though it was fairly standard CGI fare for today. The characters were a little anime influenced, as we were set in the fictional town of San Fransokyo. The voice cast was very good, and mixed in a series of fairly recognizable voices that didn’t feel like they were brought in just to add some “celebrity weight” to the cast. It may not have been The Lego Movie, but it was still very fun, and that Immortals song by Fall Out Boy really stuck in my head after watching it. Bottom Line: Don’t forget this is a Marvel movie! As with all of their films, there is a scene after the credits. 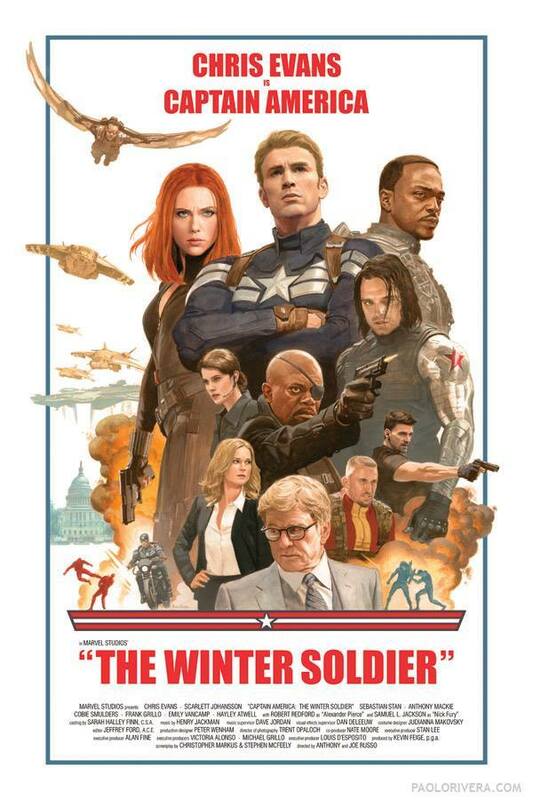 More than just a comic book movie, Captain America: The Winter Soldier was a good action movie, a good political thriller, and a good time. I love spending time with my kids, unfortunately that time is only part time, but two weeks ago we went to the movies and saw Captain America: The Winter Soldier. I have mixed feelings about taking my kids to the movies, first it cost us about $75 for the four of us to go with snacks and tickets; second it feels a bit like a missed chance to visit with them if we’re all focused on the movie. No matter though, we’re all pretty big comic book movie fans, and they seem to think I have nearly infinite stores of nerdy knowledge to answer their infinite questions (I have to admit that is one of my favourite things…). 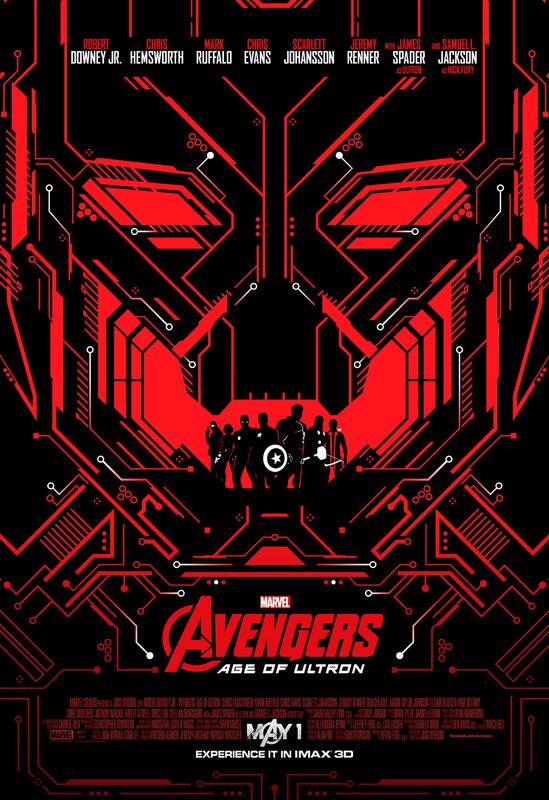 The film takes place after the events of The Avengers, and ties in with the ongoing Agents of S.H.I.E.L.D. television show, which fortunately I have been watching. I know that a lot of people have given up on Agents of S.H.I.E.L.D. but I’ve stuck with it, I think the last few episodes were really good and the show; while shaky at first; is providing the strong payoff that I expected. This time out we see Captain America (or Captain Steve Rogers) battling enemies both attacking SHIELD and within, as nearly 70 years after Cap, SHIELD and the Allies defeated them, HYDRA returns. 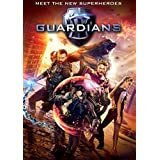 Having infiltrated the highest levels of government and SHIELD itself, Captain America (Chris Evans) doesn’t know who to trust as Nick Fury (Samuel L. Jackson) reveals secrets he’s been keeping as well as secret motives. The Black Widow (Scarlett Johansson) was teamed up with Rogers by Fury, but given a slightly different mission than he was which puts them at odds. Alexander Pierce (Robert Redford) is a politician so who knows where his loyalties lie. Cap does know he can trust Sam Wilson (Anthony Mackie), a former paratrooper who was working on secret government project which introduces us to the FALCON jetpack and wings. 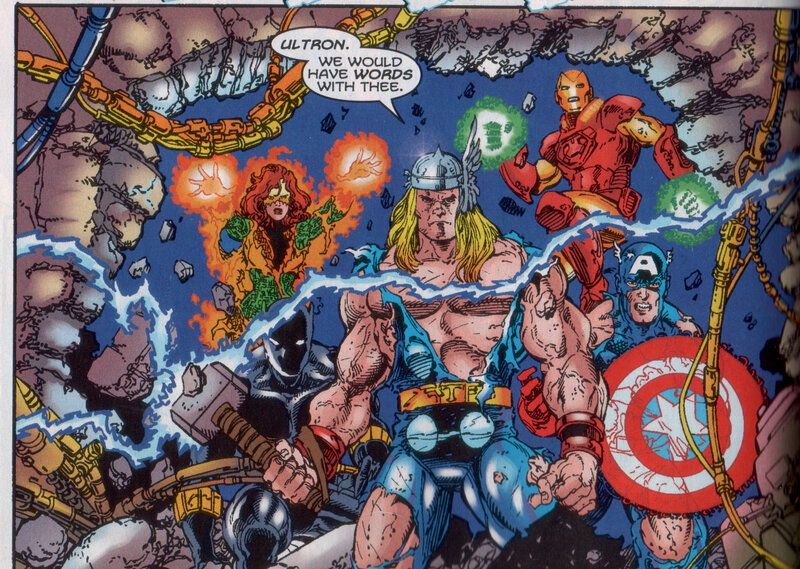 With Cap and his few allies up against a compromised SHIELD, a re-emerging HYDRA what else can be thrown at them? HYDRA’s secret weapon, the Winter Soldier. An assassin who many thought was a myth in the espionage world. He’s been credited with numerous top level kills over the past seventy years, but no one knows who he is, or how he and his metal arm have been around for so long. Well, the secret of the Winter Soldier isn’t that hard to figure out. All you have to do is go to the IMDb page for the film, and it lists him and his “alter ego” right on the film’s main page. Not a big deal if you already knew who he was from the comic books, but a pretty lousy spoiler if you don’t. (I already knew he was Bucky.) The movie was great, it had a lot of action, and it nicely handled the introduction of new characters but never felt bogged down by the additional cast. We also got to see some more of Steve Rogers’ as a “man out of time” as he adapts to 21st century life; and the film heavily featured his team-up with Black Widow. Johansson was very good, and her character was handled very well. It made a lot more sense and was much more believable to see her fighting spies and mercenaries than it was alien invaders. The strength of Johansson’s performance and the response the character has received are heavily responsible for a Black Widow solo film which has been announced, but without a start date due to her pregnancy which I hear had some impact on filming schedule of Avengers: Age of Ultron. And speaking of strong performances, Robert Redford was probably as perfect a casting choice as you could make to really bring credibility to the brand and the genre. Stan Lee makes a great cameo as (highlight to read) a guard at the Smithsonian who discovers Cap’s classic costume is missing from the display…stolen by Cap himself of course. Another really cool “Easter Egg” partway through the film as a list of people HYDRA thinks can be future threats includes Bruce Banner, Tony Stark and….Stephen Strange! Oh yeah, the Sorcerer Supreme is mentioned, which to me cements the fact that my favourite Marvel character WILL have a movie! Bottom Line: The plots added up, and I really enjoyed it. If you’re a Marvel fan, you really need to see this one. The Wolverine…What else can you say, he’s the best he is at what he does; though that may have been in doubt after X-Men Origins: Wolverine, not so this time however with The Wolverine, as Hugh Jackman (and the Wolverine character) are back and handled almost perfectly. 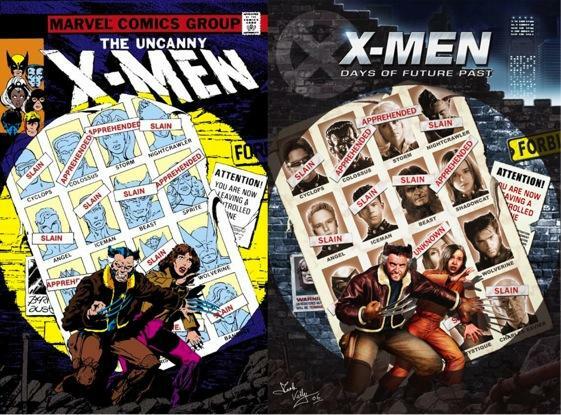 A nice solo story for arguably the most popular character of the X-Men. I’m suffering from a major, major case of writers block these days, so this one will be rather short and sweet. There was lots of action, lots of stabbing, lots of claws, lots of swords, ninjas, samurais, mutants, conspiracies, Wolverine living as a hermit and vowing not to use his claws again, and then we see him dealing out his own brand of justice to some crooked hunters in the Yukon. We even get to see Jean Grey (Famke Janssen) again. Yes that last bit could be a minor spoiler, but it happens in the first few minutes so I think I’m safe with that reveal; I mean, how top secret can that be if she’s listed on the IMDb page? We see a bit of Wolverine’s past as Logan is a POW in Japan at the end of WWII, who saves a frightened soldier from the fallout of the bomb dropped on Nagasaki. Back in the present, Logan is tracked down by the man he saved half a century ago, and brought to Japan to see him on his deathbed. Master Yashida is now the head of a billion dollar corporation but now he is dying. He wants to repay Logan for saving his life, by offering to end Logan’s pain by taking his healing power for himself to keep living, but also allowing Logan to age and die naturally. Logan turns him down at first but before he has a chance to reconsider the old man dies. At the funeral the Yakuza attack his granddaughter Yukio (Rila Fukushima) who is slated to take over the company rather than her father. Who could be behind the plot to kidnap her? This is a comic book movie so the plots aren’t always that tricky to figure out, but there were a few twists along the way for The Wolverine. 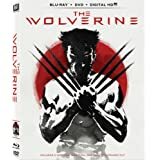 Defending the young woman from those who would do her harm, Logan finds out that his healing power has been “turned off” and he is not healing. Gunshot wounds, stabbings, even using his claws, all these things are slowly, and painfully killing him. Eventually though things sort themselves out and Logan returns to form defending the weak, protecting the innocent, slashing bad guys left right and centre as he is once again “Wolverine”. The acting was quite good, even though a lot of the cast had not really acted in a movie before. Jackman was excellent as always, and you can tell that he really enjoys his character and these X-Men movies. That enjoyment translates excellently to his performance and to the screen. I really enjoyed this one, we got to see more of the character’s internal journey. Wolverine is a ronin, a samurai without a master; and he eventually accepts this, and accepts who his really is deep down. I am in the process of tracking down the unrated cut of the film, which was only available with the 3D Blu Ray version, and not just the regular Blu Ray. That’s a bit cheesy on the part of the studios, but even with the version I did see, there was a lot to like. Of course, there was a scene after the credits (well, part way through the credits), and this one leads directly into next year’s X-Men: Days of Future Past. There was also an alternate ending on the Blu Ray. Calling these scenes an “Alternate ending” is a bit of a misnomer. I’m not just talking about The Wolverine either, I don’t think I’ve ever seen one that was very different from the actual broadcast ending. I’ve never seen one where the bad guy goes to jail instead of being killed in a shootout or the characters win the lottery and solve all their problems. No, the “alternate ending” is usually just a reworked version of the actual ending with a few minor things added or taken away. That is what happened in The Wolverine, but that’s okay. This one was so nerdily cool I enjoyed it. I won’t go into details, but click this if you want to see what it was all about.